By Marci Malinowycz, © 1999. Greg Bear sold his first story to Robert W. Lowndes' magazine Famous Science Fiction at the age of fifteen and has continued to produce famous science fiction ever since. In addition to his more than twenty novels, Greg has contributed greatly to the science fiction community by being a primary founder of San Diego's iconic Comic-Con. This year, he brings us an “epic interstellar tale of war”, War Dogs, the first novel in his Ares Rising series. See Patrick’s review here. When the extraterrestrial Gurus first came to Earth, Humans welcomed them freely, sharing in their innovations and ideas. But then they revealed they were on the run from their brutal, sworn enemies. Enemies who wanted to plant a base on Earth's doorstep: the red planet of Mars. Join our open Speculative Fiction Book Group as they dissect Darwin's Radio! Meet at the book store at 7pm. Newcomers and drop-ins are always welcome! The Guests of Honor are Larry Niven, Richard Kyle, and John and Bjo Trimble. Announced guests include Steven Barnes, Greg Bear, David Brin, Batton Lash, Jackie Estrada, James Morris, Jerry Pournelle, Scott Shaw! and Vernor Vinge. San Diego native, comics fan, scholar, and Hugo and Nebula-award-winning author Greg Bear continues his enrichment of the mega-popular science fiction video game franchise Halo universe. Silentium, the conclusion to the Forerunner trilogy, sets the stage for possible apocalypse as the Forerunner empire is overrun by fierce and greedy shape-shifting parasites. Greg will also be a guest speaker at the significant science fiction exhibit at San Diego State University called Strange Data, Infinite Possibilities earlier in the afternoon. Greg will be a guest speaker at the significant science fiction exhibit at San Diego State University called Strange Data, Infinite Possibilities. For more information about this event, please check the website. Greg Bear , City at the End of Time. Greg Bear reads from City at the End of Time. Greg was born in San Diego on August 20th, 1951, to Wilma M. and Dale F. Bear. He sold his first short story at the age of fifteen to the magazine Famous Science Fiction and his first novel, Hegira, appeared in 1979. One of Bear's most famous stories is "Blood Music", which won the Nebula Award and the Hugo Award. Another short story, "Dead Run", was adapted by Alan Brennert for the second Twilight Zone television show. He worked as a freelance journalist at the Jet Propulsion Laboratory in Pasadena, where he covered all the Voyager planetary encounters for the San Diego Union, as a film commentator for the Los Angeles Times, as a book reviewer for the San Diego Union Book Review supplement, as a bookseller and as lecturer for the San Diego City Schools. He was a founding member of ASFA, the Association of Science Fiction Artists. In the 1980s, Bear served on the Citizens Advisory Council on National Space Policy and as science and speculations advisor for the pilot episode of the Amblin/Universal TV production _Earth 2 (1994) (TV)_. In 1975, he married Christina M. Nielson, but they divorced in 1981. Married to Astrid Anderson (daughter of Poul Anderson) in 1983. They have a son, Erik (born September 1986) and a daughter, Alexandra (born January 1990). His science fiction often draws on his knowledge of biology and anthropology. 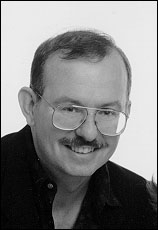 Greg Bear is currently considered a "single author." If one or more works are by a distinct, homonymous authors, go ahead and split the author. Greg Bear is composed of 7 names. You can examine and separate out names.